Root collar excavation is the process of removing the dirt from around the trunk of a tree to inspect the base. This is done to investigate the extent of decay that is present or to view the structure of the roots to see if there may be a girdling root issue (roots that have been misdirected and grow around or across the tree trunk). Often, if homeowners are seeing issues with the leaves or branches of the tree it is a sign to inspect the roots. If the tree was planted too deep, the roots cannot get the oxygen they need and therefore grow around the trunk of the tree, ultimately suffocating it. Although the tree will still grow, it will not be as strong. 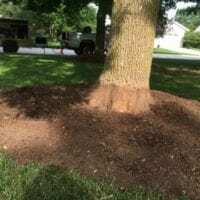 Root Crown Excavation is used to thoroughly examine roots and determine the best plan of action to get your tree healthy and thriving once again! 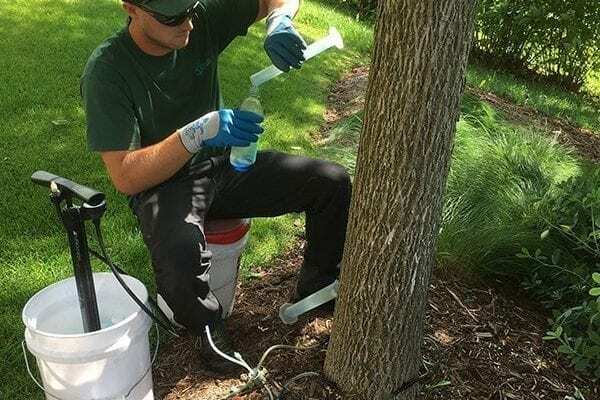 Wachtel Tree Science uses a tool called an air spade which is powered by an industrial air compressor to perform this tree care service with precision while avoiding mechanical damage to bark tissue. Attention to detail is a crucial part of what makes a root collar exam successful. Our Certified Arborists are well-trained in this process to ensure your trees are carefully inspected. 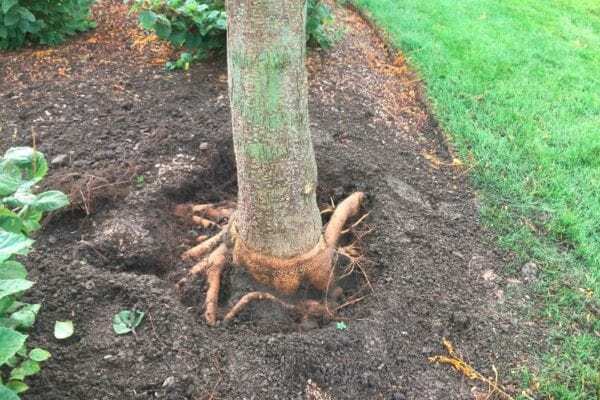 Our Wisconsin tree care experts have years of experience and knowledge to accurately identify if your trees would benefit from a root collar excavation. Correcting girdling root issues or identifying decay at the tree base will increase your trees’ ability to have a full and healthy life in your landscape. Excellent work! The crew was very professional and hardworking. They demonstrated great teamwork. I was very impressed!